Lovely farewell message from Toby’s teacher outside his classroom today. Exhausted. 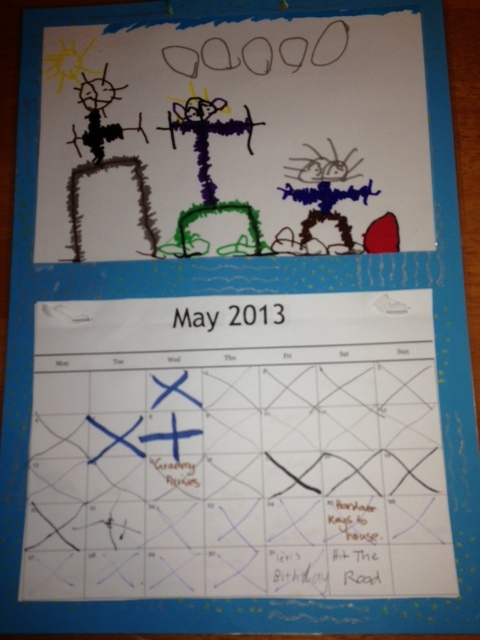 It is June the 1st tomorrow – a day that we have been seriously planning for over 18mths now. I wish I could say we are excited – and I know that we really are somewhere in there – but we are just soooo tired and emotionally drained. I know that we are sounding like big whingers and you’ll all be thinking ‘buck up – get into it!’, but I’m trying to truthfully record this adventure and dog tired is all we’ve got tonight. That and a whole lot of gratefulness for all the kindness’s we have been shown over the last couple of weeks. We moved into the camper at ‘Camp Hanstede’ yesterday – in the pouring rain – we even sat down for dinner (kindly made for us by Stella – thank you!) and there was a huge clap of thunder and lightening – what the???? We’re really trying to take that as a good omen! 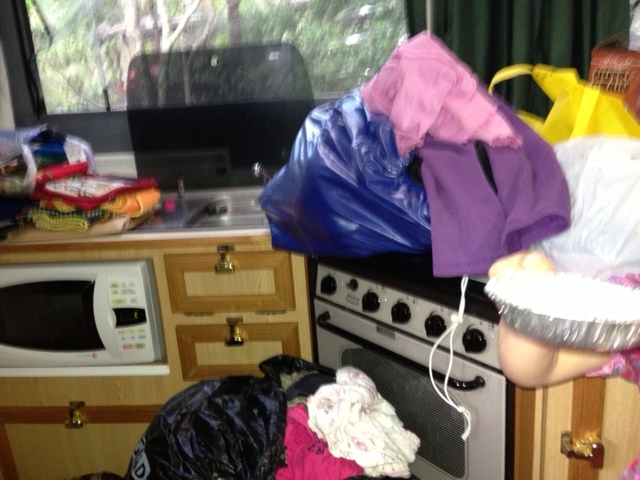 When I say moved in to the camper – I mean we squeezed in amongst all the bits and pieces that we have no idea how we are going to make fit in here! Jack reading a bedtime story to the kids on our first night moved in to the camper. Yep – it is a real mess! I honestly thought we would have time as we were moving out of the house to be packing the camper at the same time – didn’t happen! Then I thought – no worries – we will sort it all out while we are staying at the neighbours – didn’t happen. Now I am thinking that we are just going to jam it all in somewhere, hit the road tomorrow somehow and figure it all out as we get travelling. It is just time to get going and know that it will all come together. I thought I was being ruthless with my packing and that we would have no problems fitting it all in – I was very, very wrong!! Maybe we will just head to the beach somewhere and spend the weekend getting it all sorted – who knows? We’ll decide in the morning and that is the beauty of the trip I guess! Matt finally finished work today – hooray! 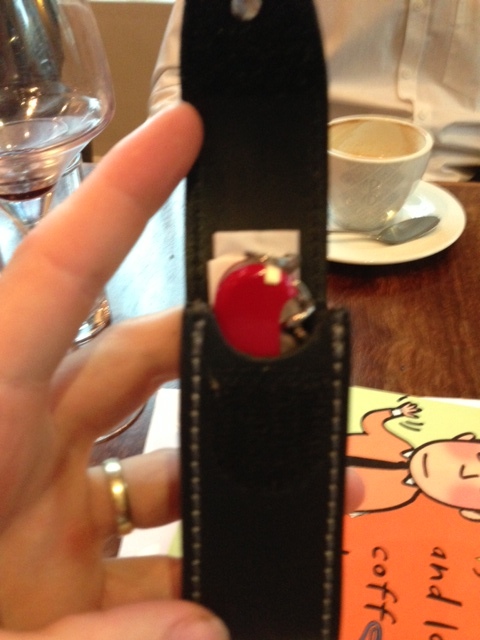 Matt’s farewell gift from his team at work – he is very happy! 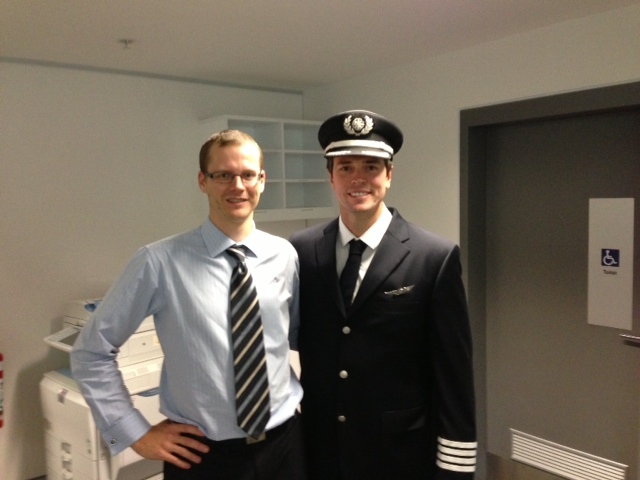 Matt with ‘the FCL Captain’! The kids had their last day at school, which was surprisingly a little sad for them! Both the boys teachers did a lovely little farewell for them in class, a big thank you to Miss Jane, Mrs Donaldson and Mrs Blakey – wonderful teacher’s who have all been so supportive and helpful with putting together some materials to help with the kid’s schooling on the road. We did also manage to get our spare tyre for Peter Prado sorted this week, the tear in the camper wall stitched up like brand new (great Canvas stitching place at Morayfield!) and all done in an hour for only $60, our mail redirection is on and we have just about said all of our goodbyes including a lovely afternoon tea with the Van Schoor family to check out how they have settled in to ‘our house’ – a little strange seeing it with a new family and looking so different, but also nice to see it so loved! The goodbyes have been tough – we will miss the wonderful friends we have established in Samford sooooooooo much! Our neighbours and friends have been like family to us over the last few years – particularly as most of our family live away – so big thank you shout out to the Seaborn, Sheil, English and Hanstede family’s who have been a big part of our lives over our time here – we will miss you! So with all of the hard stuff out of the way, and no more work and school to worry about, things should start to feel a little easier. Off to bed now for some sleep and to wake to the start of our adventure, let the freedom begin! PS. 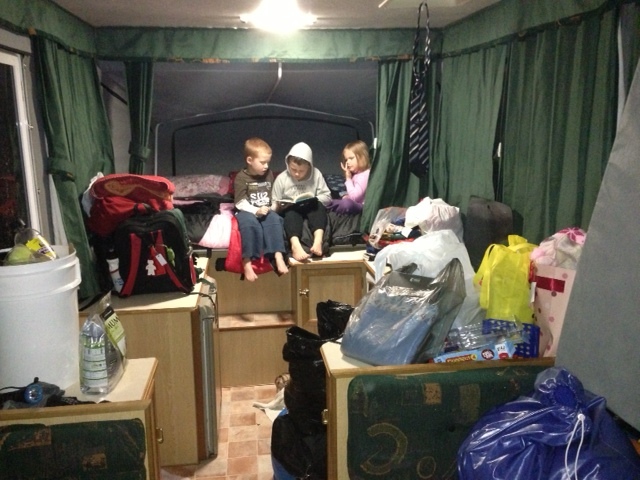 And finger’s crossed for sunshine in the morning so we don’t have to load up in the rain and pull the camper down wet!